The IwB partnered with the Toronto Community Housing Corporation (TCHC) to look at the redevelopment of one of its suburban housing estates called Flemingdon Park. The project aimed to find a model for redevelopment in light of an infrastructure renewal horizon for the year 2020. The Flemingdon Park Community Rejuvination initiated the transition from the IwB’s World House Project to the City Systems Project. The result was a development plan and prospectus for a revitalized Flemingdon Park and a book titled Universally Local that proposed revitalization of housing estates through seven values: wellness, safety, accessibility, diversity, cohesion, identity, and sustainability. To revitalize Toronto’s aging infrastructure and build a model for a resilient, greener city neighbourhood for the 21st century. IwB values for Universally Local communities: wellness, safety, accessibility, diversity, cohesion, identity, and sustainability. Aerial view of Flemingdon Park in Toronto. 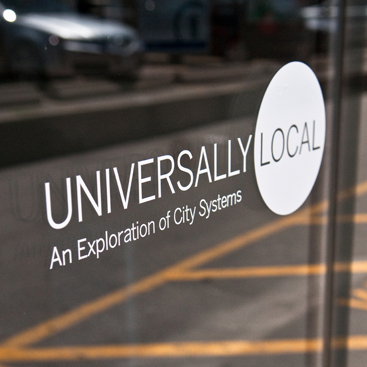 Universally Local, the book and exhibit created by the students. Image of the Universally Local exhibit by the students. Most of the contemporary city suburbs built after WWII, are coming to the end of their lifecycles and the question of how they will be adapted to the needs of contemporary and future urbanites is critical to sustaining heathy cities. The Flemingdon Park Community Rejuvenation was the first year of City Systems project, which broadly proposed new ways to live and work in a contemporary city in a resilient and responsible way. City Systems stressed that we need to reimagine the social and physical infrastructure that will underpin the renewal of our cities in the future and allow for their adaptation and transformation over time. Focusing in on the Flemingdon Park Community, the IwB partnered with the Toronto Community Housing Corporation and examined how a piece of the city works as a system, in this case a neighbourhood of about 15,000 residents. Flemingdon Park is located south of Eglinton Avenue West and east of Don Mills Road. The development has an aging housing stock built in 1962 that is made up of two-storey townhouses and three-storey apartments. Along with a playground there are numerous parks and community centres in the surrounding area, but its layout is outdated and based on the needs of its diverse residents lacks local amenities. Furthermore, much of its infrastructure features are irrelevant to residential development and do not reflect 21st century needs; the original architects of Flemingdon Park created utopian infrastructure that did not address residents’ needs. The challenge was to rejuvenate this mid-twentieth century complex so that it responded to contemporary city residents’ needs and in the process build a model for a resilient, greener city neighbourhood for the 21st century. Throughout 2009-2010, the IwB students developed projects in their classes that responded to the Flemingdon Park redevelopment challenge. The work of the IwB students, staff and faculty included several brainstorming sessions and charrettes with the Flemingdon Park community members and TCHC, including a major charrettes called The Flemingdon Park Unit Design Charrette. The final project result was a development plan and prospectus for a revitalized Flemingdon Park and a book titled Universally Local that proposed revitalization through seven values: wellness, safety, accessibility, diversity, cohesion, identity, and sustainability. The book proposed that the solution to one city’s problems may be local but that those solutions may be relevant to other cities’ becoming universally local. The project also proposed that coordinating local initiatives could produce systemic change through synergistic incremental actions. The students presented and exhibited their work throughout the year, culminating in the Universally Local Exhibit held in May 2010, which showcased the revitalization plan and the theoretical context as outline in the Universally Local publication. The Flemingdon Park project underlined the importance of revitalization that is not just about physical changes but about social infrastructure changes as well, and about finding harmony between the two. Here the power of co-creation and emphasizing the citizens’ involvement is key to creating and recreating the city. The Modular Housing Charrette was a special project taken on by the IwB exploring universal housing construction system. The intention of this charrette was to develop schematic designs for a modular housing system that will help address the need for quality shelter internationally, while achieving efficiency in its lifecycle costs and demonstrating a model for a sustainable, low-cost development option. Two properties owned by Andy Napier from Aardcom Inc. and James Ruehle from Rule Estate Inc. were used as prototype sites for residential units in the near future: Pickering, in Southern Ontario, Canada, and Portero in Guanacaste, Costa Rica. The charrette team was asked to develop one system with design variations suited to the two sites’ distinct climates. The two variations would be similar in structure and form, but distinct in their use of materials, foundation and roof options, as well as systems planning such as energy capture, HVAC and waste and water management. 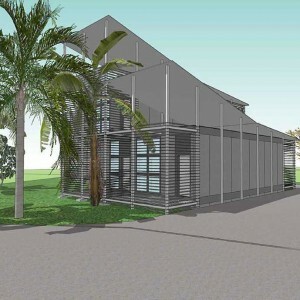 The Modular Housing Charrette built from the Institute’s earlier World House Projects, namely the Canuhome and the World House Costa Rica project. As IwB students and staff were looking at the revitalization of the Flemingdon Park, they also investigated some of the other TCHC properties around the city. 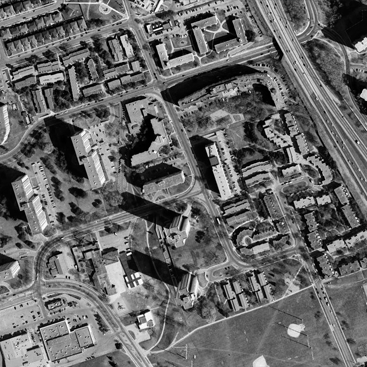 Falstaff was one of these properties that like Flemingdon Park was in need of major infrastructural redevelopment. The community also faced many social issues, in particular high incidents of crime. The Falstaff Charrette was conducted to propose improvements to the architectural, landscape and urban design components of the community as well as address the social issues facing the neighbourhood. Learn more about this charrette, view the Falstaff Charrette project page. The IwB students created a display booth for the 2010 Toronto Interior Design Show. The booth explored urban life as a series of systems. The concept for the exhibit came out of the major project work for the Flemingdon Park revitalization challenge. The Booth was called “City Systems: People Power Public Spaces.” It was an engaging display that illustrated the power of individuals to activate public space. Exhibitors and guests were invited to experience a graphical and textual narrative of a city at the individual, collective and systems level. Read more on this project on the IDS: Student Booths page. The IwB students collaborated with students from the GBC Architectural Technology department to propose new residential unit designs for Flemingdon Park. Each charrette team was assigned a different unit type and was responsible for designing a unit floor plan and a cluster of these units within the site. Design solutions focused on the requirements of Flemingdon residents and their community, addressing existing unit designs and proposing new unit layouts that can help to improve security, community engagement and quality of life in the neighbourhood. The charrette built on the research the students completed in the first semester and used the World House and City Systems Matrixes to guide the design process. The IwB conducted a special project charrette with Evergreen Brick Works, a community environmental centre and a public nature conservation area in the heart of Toronto’s Don Valley. 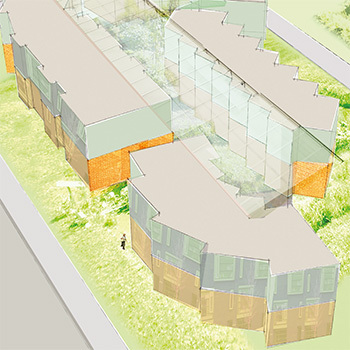 The goal of the charrette was to promote urban agriculture and public knowledge about urban ecology at the new Evergreen Brick Works centre by designing a greenhouse and chicken coop to teach kids about agriculture. Learn more about this charrette on the Evergreen Children’s Greenhouse Charrette page. The IwB students designed, built and displayed an exhibit entitled “People Power Public Spaces” for the 2010 Interior Design Show in Toronto. It was very successful and attracted a lot of attention, including winning a prize for best student exhibit from the show sponsor. As a result, the IwB was invited to display the booth at the Fabrica del Vapore, an exhibit site in parallel with the Salone del Mobile of Milan (The Milan Expo), one of the most prominent furniture fairs in the world. The booth travelled to Milan and was showcased at the Expo from April 14 to 19, 2010. It was was very well received and a great to way to share the Institute’s work internationally. One of the site-specific projects during the Flemingdon Park year was a project to retrofit existing townhouses at the site to become a community and greenhouse for a social housing neighbourhood. 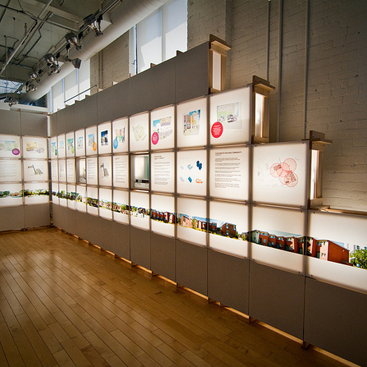 The IwB students showcased their work on the Flemingdon park revitalization project in an End of Year exhibition at the School of Design gallery, held from June 12th until July 30th, 2010. The exhibit was called “Universally Local.” It drew on the research, inspiration and outcomes of the whole year’s work and focused on the 7 characteristics the students theorized are crucial to healthy neighbourhoods in cities world-wide: accessibility, identity, cohesion, diversity, safety, sustainability, and wellness. The students put these principles into action in the revitalization plan for Flemingdon Park, proposing a series of innovative design moves that could transform the neighbourhood and create long term environmental, social and economic change. On the whole, the exhibition featured the students work on creating a systemic approach to urban renewal that centres around existing relationships and new connections that can support a community as it transforms itself from within.